Is an abnormal deformity of the digits more commonly the second, third and four toe. This deformity cause an abnormal bend in or both the proximal interphalangeal or distal interphalangeal joint of the digit. The deformity can be flexible meaning that the joint can move or rigid which is a fixed deformity. The deformity can lead to constant pain in the digits when wearing shoes. Many often people develop painful lesions over the toe joints which can turn in to corns, or bursitis. If the condition is left untreated, they can become worse and might require surgical correction. 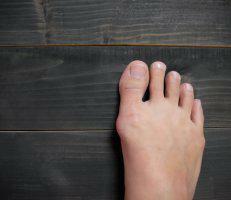 Patients with hammer toes may develop corns or calluses on the top of the toe joint or in the tip of the toe. They may develop pressure points and redness over the joints. They may also feel pain, fatigue, and difficulty fitting in toe shoes. The deformity can developed from muscle imbalance in your foot. Abnormal forces in the foot secondary to poor arch supports, improper foot wear or hereditary components. If the digit is bent and held in one position for long hours it can lead to tightness of the small tendons and cannot stretch out. Many people use shoes that are narrow toward the toes and push the smaller toes into a flexed position. Constant friction of the toes with the shoes lead to the formation of painful lesions. Conservative care with accommodative shoes, padding, strapping. Your shoes should be one narrow enough for your foot type. 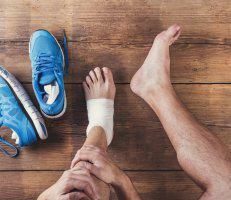 Strengthening exercises for your feet that you can incorporate as part of your routine can help to stretch your toes. There is surgical options for correction of hammer toes. Most procedure are performed as outpatient procedures with local anesthetic. The procedure of choice depends on your deformity.